ROME (AP) — The Italian engineer who designed the Genoa bridge that collapsed and killed 43 people warned four decades ago that it would require constant maintenance to remove rust given the effects of corrosion from sea air and pollution. 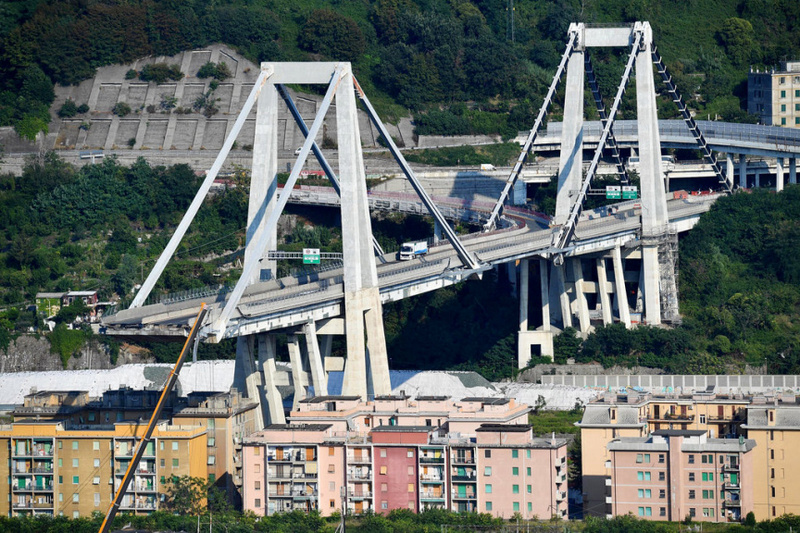 RAI state television broadcast excerpts Sunday of the report that engineer Riccardo Morandi penned in 1979, 12 years after the bridge bearing his name was inaugurated in Genoa. At the time, Morandi said there was already a "well-known loss of superficial chemical resistance of the concrete" because of sea air and pollution from a nearby steel plant. Morandi reaffirmed the soundness of the bridge design but warned: "Sooner or later, maybe in a few years, it will be necessary to resort to a treatment consisting of the removal of all traces of rust."